Lake Mary Public Claims Adjuster assists Policyholder in recovering more than 4X the insurance companies offer! Claim Concepts assists policyholder in Lake Mary Florida with storm damage claim, final settlement + 486%! The loss happened during a severe thunderstorm system that went through Central Florida wreaking havoc on many homes and businesses. 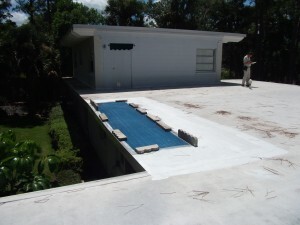 The insureds home in Lake Mary Florida suffered water, wind and impact damage to the roof and interior of the home. The insurance company came out to inspect the property and issued payment based on their adjusters damage estimate in the amount of $7780.78, which after the deductible equaled a whopping check of $1,300.78. After consulting with a few contractors the insured felt that he was owed in the ballpark of $5000 more. Upon submitting his documentation, it was rejected by the insurance company and the reiterated that they are standing behind their original offer. He did his homework and submitted a request with the state for Florida’s Mediation Program. Unfortunately, in mediation the insurance company once again held their ground and would not offer any more money. That is when the insured did his research and retained our firm. Upon our initial inspection we felt that he was not only grossly underpaid for his claim but he was not even asking for enough money to cover the damages. During our very detailed inspection we discovered quite a bit more damage than the insured or their contractor noticed. Upon our evaluation and realization of how much he was underpaid, we agreed to take the case. After letting the insurance company know we were retained by the insured they sent an adjuster to meet us at the property. After us presenting the damages to their adjuster, he did agree with our assessment of the damages. A few weeks went by as he submitted his report to the insurance company and again they stated they are not going to be paying any more money on this claim and that they felt they have paid it properly even though their own adjuster agreed with us at the time of the inspection. At this point we discussed the options available and we agreed to invoke the Appraisal provision of the policy. After meeting with the 0pposing appraiser the award was signed shortly thereafter for a total of $37,880.09. In this situation the insured received a settlement amount that was 486% more than their initial offer. Needless to say, the insured was very happy with the outcome.